Mystery Murders - Jack the Ripper is another dark game in the adventure/hidden object games genre. 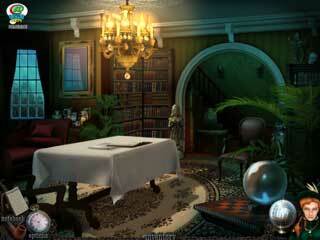 The game uses one of the most frightening stories and fills it with many puzzles and hidden object levels. The game features great production value as long as you really don't mind the story. The game will have you follow the trail of the murderer. The story this game is based on is well known to everyone, so there isn't much new to tell. You are going to hear it from the point of view of a lady who has the ability of seeing some events in her dreams right when they actually happen or before that. She is haunted by those dreams. She understands pretty soon what's going on as the news keeps coming about the new murders. The game offers graphics rich in detail and also a really nice voice over with the British English accent. As to the game challenge level, it is not that low. You will have to carefully look around to try and find all the clues to proceed. The game will have you follow the trail of the murderer. That will include the interactive part, some hidden object scenes, and different puzzles all mixed up with the bits and pieces of the story. 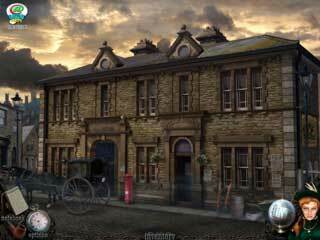 The hidden object scenes are not very rare here in Mystery Murders - Jack the Ripper. So the fans of that kind of puzzles will get enough of it here. The mini-games are all skippable, but you might also enjoy solving them. The interactive part will have you paying attention to all of the details in order not to get stuck. The game will be highly enjoyed and appreciated by those familiar with all the latest releases. This is Mystery Murders - Jack the Ripper review. Download this game here.